Throughout the country, knitters are making Pussyhats for people to wear during the Women’s March on Washington. 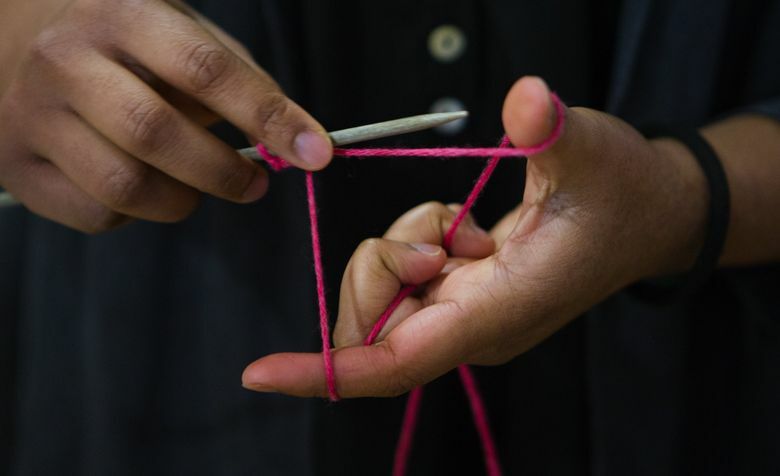 And in Seattle, the pink yarn is flying off shelves. In the week since we published a story on Pussyhats — the pink, knitted, kitten-eared hats women will be wearing to post-inauguration marches all over the country — pink yarn has been scarce around here. At The Weaving Works store in Seattle, where people are picking up supplies to make Pussyhats and donating finished hats, and where non-knitters are picking them up, the stuff is flying out the door. 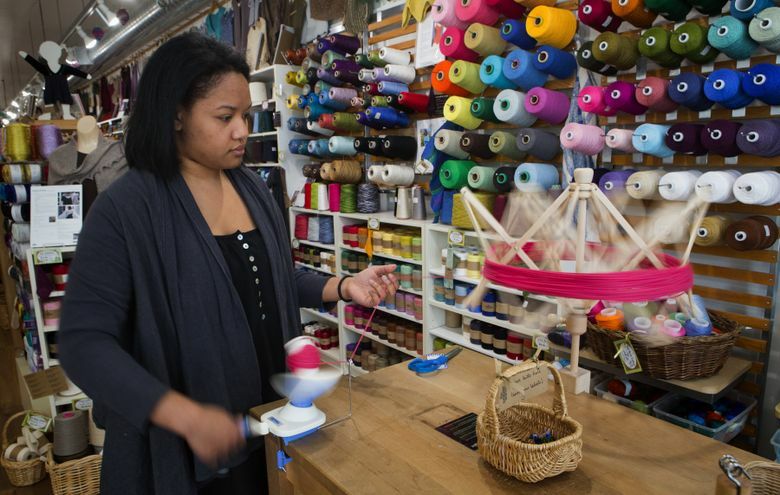 “We have sold more pink yarn than Seattle buys in four years,” said Jennifer Miller, a “yarn wrangler” at the store. At the Serial Knitters store in Kirkland, owner Debie Frable is “overwhelmed” by how much pink yarn she has been selling, and has started a Wednesday-night Pussyhat knitting event. No charge for help. Even non-knitters have been donating money to fund the hat-making supplies — Frable’s brother gave $100. Others are pulling from their own yarn stashes for the cause. An estimated 200,000 women will gather in Washington, D.C., on Jan. 21 — the day after Donald J. Trump’s inauguration — to march in support of women’s rights. The Pussyhat is a response to Trump’s comments on an “Access Hollywood” bus, when he told former host Billy Bush about “grabbing” women between the legs. “I was scared to death that I was going to lose half of my customer base from doing this,” Frable said. “I might have some customers frowning a bit. But I have so many new. It’s a bonus. She has also ordered more yarn, so come and get it, she said. Meanwhile, people are dropping off “stacks” of hats for non-knitters heading to the Jan. 21 marches in Washington, D.C. and Seattle. Weaving Works is accepting donations and taking requests for hats, Miller said. The list is 156 names long. Frable hopes that once the hats are worn and the marches end, people continue to gather around knitting. “We are all wringing our hands,” she said. “‘What can we do? What can we do?’ Let’s do this.